Scuba diving is enjoyed by thousands of people around the world every day and is considered a low-risk activity compared to many other outdoor and sporting activities – even such widespread activities as swimming, jogging and all-terrain vehicle riding have higher reported fatality rates than diving. How likely are you to be injured while diving? The most common medical issues associated with scuba diving are sunburn, seasickness and dehydration (all of which are preventable). There are actually few injuries requiring any sort of medical attention associated with diving. On average, there are only 1092 scuba-related emergency room admissions in the US each year. Dogs, snakes, crocodiles and even hippos kill more people every year than sharks. Just in Australia there are 20 horse-related deaths each year compared to 1.7 shark-related fatalities: Horse Week, anyone? 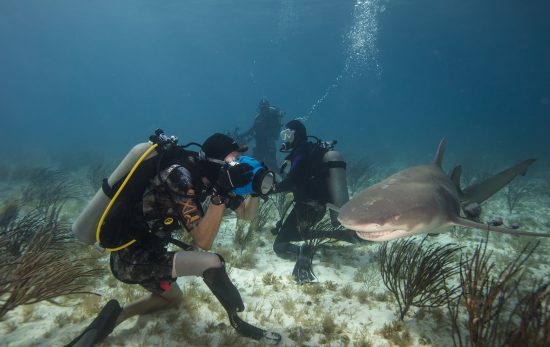 Most divers love sharks and are ambassadors for this greatly misunderstood animal. Will I run out of air? Your dive gear includes a display that tells you how much air you have in your cylinder — think of it like the gas gauge on your car. You’ll learn to check this gauge regularly, so it’s unlikely you’ll run out of air while scuba diving. If you do run out for some reason, your buddy has an extra mouthpiece (regulator) so you can share your buddy’s air while you swim to the surface. Some divers also choose to dive with a small backup supply of air. Do people die scuba diving? * Divers Alert Network® (DAN) publishes the DAN Annual Diving Report each year. It includes data and analysis on dive incidents, injuries and fatalities for a given year. 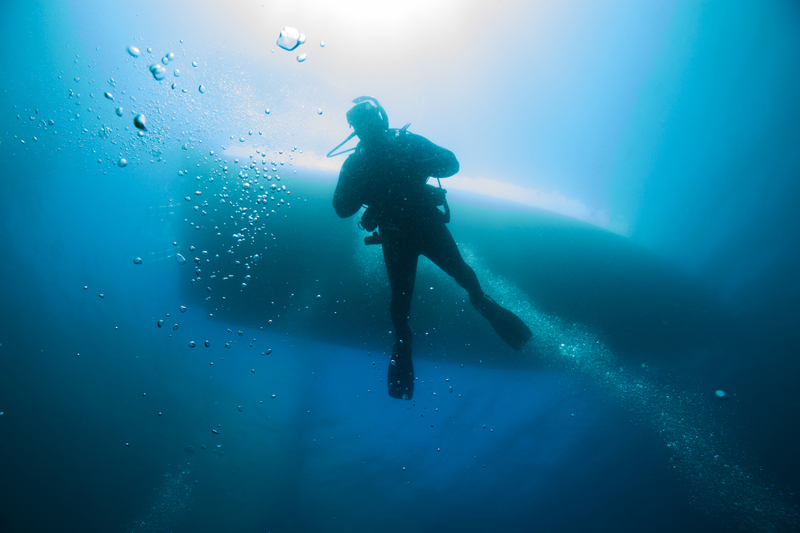 The majority of scuba diving injuries and deaths are the result of diver error. So it’s important to get proper training and always follow the rules and procedures you learned in class. In the PADI Open Water Diver course, you’ll learn important skills and safety concepts and practice them in a pool (or pool-like environment) before moving on to the ocean, lake or other large body of water. If you’re not sure if an open water certification is for you, ask your local PADI Dive Center or Resort about a Discover Scuba Diving experience. You’ll get a chance to try on scuba gear, breathe off a scuba tank, have some fun with friends and find out if scuba diving is for you. PADI Instructors are held to diving’s highest standards. All PADI programs fall under strict educational standards monitored for worldwide consistency and quality. PADI randomly surveys PADI Divers to confirm their courses meet PADI’s high standards as well as the divers’ expectations. No other diver training organization works to maintain this level of professional reliability and integrity. 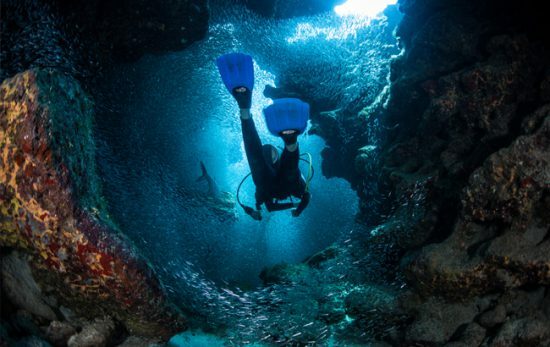 We hope this article has helped put your mind at ease about scuba diving. If you have additional questions, contact your local PADI Dive Center or Resort, or reach out to our community of divers on Facebook. 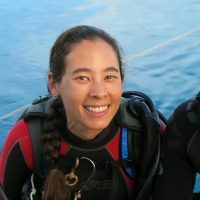 So, What’s so Special about the Underwater World?